What’s Your Cost of Living? What Do You Do for Health Care? Cost of living and health care are pretty straight forward, requiring little creativity. Since people from North America are used to doing and producing, “what do you do all day?” is often something they just can’t get their heads around. But there is one item in the cost of living section that generates the most interest. It’s the one slide on banking, where we talk about getting 10.75% interest on our money. This is something they all understand, especially today, since interest rates in the States are about 1%. To say we’re ecstatic about the results would be an understatement. We got out of the stock market a few years ago and feel much more secure with Coopenae. 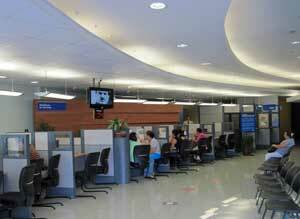 They are a cooperativa (credit union) with 90,000 members and 24 branches around Costa Rica. We’re so lucky we found them. Our particular branch in San Ramon has many English speakers, so language never presents a problem when talking about your money. They will ask you many personal questions, especially if you are new to the country, so they know exactly where the money is coming from. Preventing money laundering is of paramount importance. SUGEF is the regulating body of Costa Rica, overseeing 53 financial institutions in Costa Rica, and Coopenae — our credit union — is number one in various categories including the important default rate (loans late 90 days). The Coopenae default rate is the best (the lowest) of all 53 financial institutions, approximately 1/2 of 1 % (.066%). As a point of comparison, many banks in the U.S. have a default rate over 20%. To me, this says safety. It’s the principle reason we went with Coopenae. Plus, they are liquid, so your money is there when you need it. Are there negatives? Sure there are. One must be a legal resident, or in the process with support documentation. 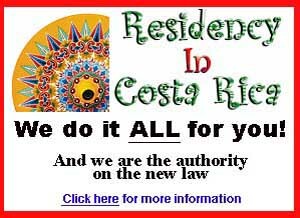 We believe that becoming a legal resident is the right thing to do if you plan to live in Costa Rica. Otherwise, you will have to make a border crossing at least every 90 days to keep your tourist visa and foreign drivers license current. The money you save on these mandatory trips will more than cover the costs associated with obtaining your residency. And, when you are a resident, you can invest in CD’s and take advantage of the great rates like Coopenae’s.